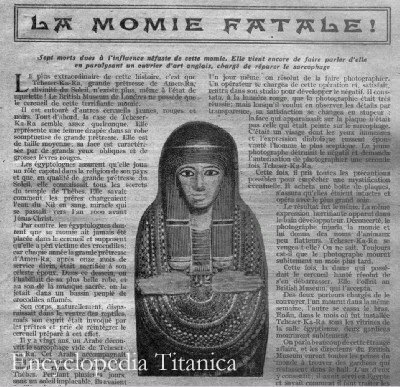 It does seem indisputable that from the time the mummy case passed into the possession of an Englishman in Egypt about 1860 a strange series of fatalities followed its journey and even when it resided in the Mummy Room at the British Museum, sudden death haunted those who handled the 3,500-year-old relic from Luxor. Ah, nothing stirs the hackles on the back of an Englishman’s neck than the tale of the Mummy’s curse. Although it’s not marked at such, the most famous cursed mummy case of all has stood for much of the last century in the First Egyptian Room at the British Museum. The yarn begins with an Oxford graduate, published author, horse breeder and amateur archaeologist named Thomas Douglas Murray (1841-1911), who had been visiting Cairo since 1866. Sometime around 1889, he and two colleagues were shown a remarkably well-preserved mummy case by an Arab, supposedly excavated in the 1880s. The hieroglyphics described the owner as a high priestess of Amen-Ra. Murray and his friends drew lots to determine which of them would buy it – Murray won, completed the sale and the case was packed up and on its way to his home in London the same evening. A few days later, Murray’s shotgun exploded while he was duck-shooting on the Nile. Tremendous headwinds hampered his progress back from Thebes to Cairo to seek medical treatment, meaning it was ten days before he could get medical attention. By that time, gangrene had set in and Murray’s arm had to be amputated. Back in the hall of his London home at 34 Portland Place, Murray found the mummy case unpacked. At once, he found the object chilling and ominous, the formerly beautiful face on the board now seeming full of malevolence. 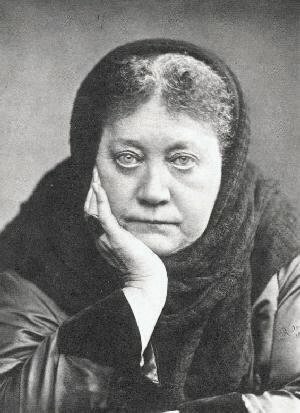 One source claims that Madame Blavatsky, the clairvoyant founder of Theospophy, “detected an evil influence” from the case when she visited the house. A journalist profiling Murray asked to borrow the board, and Murray found himself relieved when it left his house. Misfortune struck the journalist while it was in her possession – her mother fell downstairs and died, her fiancé called off their relationship, her dogs went mad and she became ill. She told her lawyer that she believed the mummy case was unsettling her, so it was returned to Murray. Wheeler’s sister took the case to be photographed at a studio in Baker Street, and to her horror, “when the plate was developed, although the negative had not been touched in any way, it was seen that there looked out the face of a living Egyptian woman whose eyes stared furiously with an expression of singular malevolence. In the course of a few weeks the photographer died suddenly and in most mysterious circumstances.” It was said that when a later owner of one of the photographs brought it into his home, every piece of glass in his home shattered. An Egyptologist who acted as the middleman in the handover had the case sent to his house so he could study the hieroglyphics – he died shortly after, his servant saying his master hadn’t slept since the day the coffin was brought into the house. 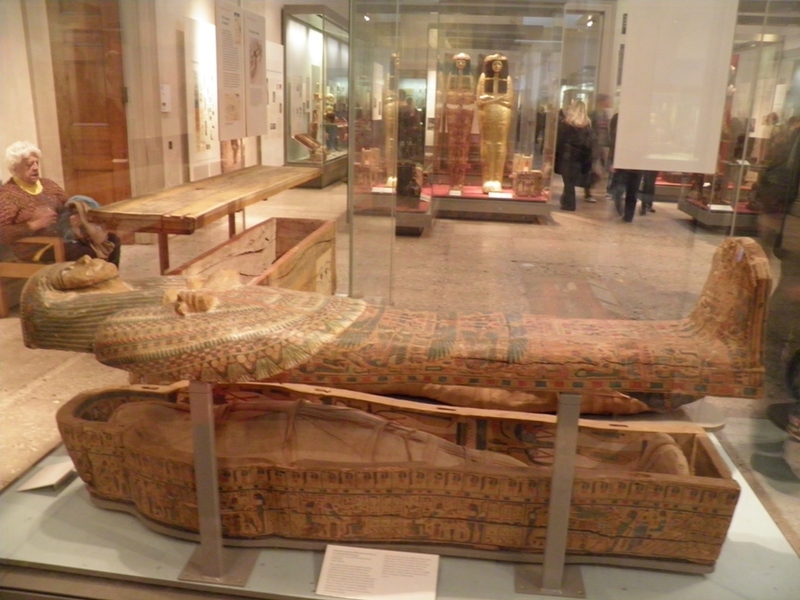 The carrier who brought the case to the British Museum died within a week, and it was rumoured that anyone who tried to photograph or sketch the mummy case would be struck down. Another photographer who had taken an image capturing the terrifying face of a woman shot himself after presenting it to Sir Ernest Wallis Budge, the Keeper of Egyptian and Assyrian Antiquities at the British Museum. Wallis Budge was reportedly so concerned with the number of stories he had heard – numerous staff reported unexplained hammering noises and raucous sobs coming from the case – he began to wonder if the priestess was unhappy with her position and presentation in the Museum. He arranged for the mummy to be installed in a display case of its own adorned with a laudatory notice. 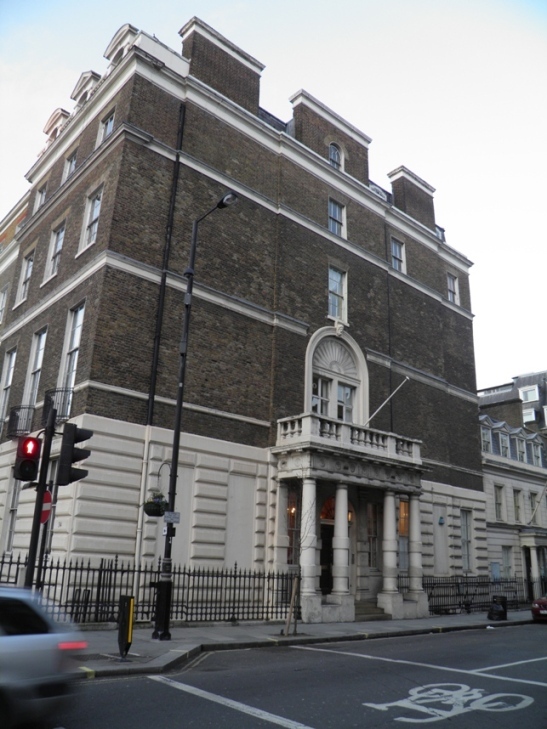 It was said the disturbances largely ebbed away once this was done – although night cleaning staff continued to report ghostly appearances and overwhelming feelings of terror emanating from the case in the decades to come. 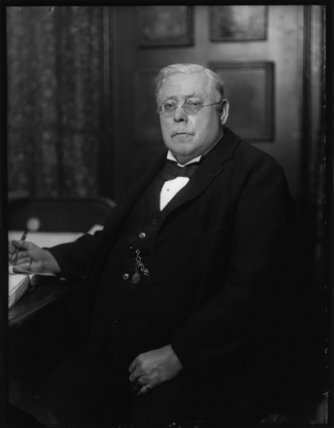 Nor did Murray’s problems stop when he had rid himself of the case – he was reportedly lost a large part of his fortune over the following years and died in 1912. But like any good ghost story, the truth is both more prosaic and harder to locate than the myth. Douglas Murray was indeed at the heart of the tale of the Cursed Mummy Case – but he was neither the intrepid traveller nor the reliable witness he might have seemed. In 1889, Murray was part of a large movement of people becoming interested in the paranormal. At a time when séances, table tapping and communicating with the other side were terrifically en vogue, he was not unusual. But like many of the spiritualists at the time, his desire to find the existence of an afterlife came at the expense of the truth. At some point prior to his dabblings with the mummy board, Murray had heard a popular story about an Englishwoman who had brought a mummy from Egypt which was displayed in her drawing room. The next morning, everything in the room was found smashed into pieces. She moved the mummy and the same thing happened again. When it was taken up to the attic, all night long the sound of heavy footsteps going up and down the stairs were heard, accompanied by strange flickering lights. The following morning, all the servants resigned. It was a story that captured Murray’s imagination. When Mr A.F. Wheeler presented to the British Museum “the inner mummy case of a Princess of Amen and a member of the college of Amen-Ra at Thebes” on behalf of Mrs Warwick Hunt of Holland Park in 1890, Murray contacted the museum to ask if he could hold a séance in the Egyptian Room with his colleague, the journalist WT Stead (who wrote one of the first articles about the ‘curse’). Murray was turned down, but the papers reported the story (most likely through Stead’s contacts), mixing together the abortive séance, the creaky old ghost story, the coffin lid and Douglas Murray into a composite nonsense tale that’s survived for a century. 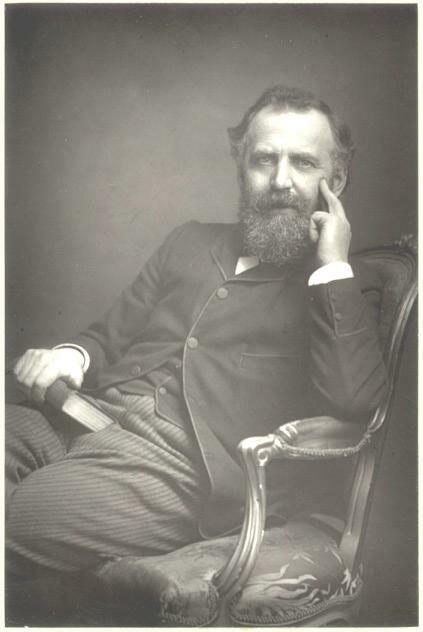 In some ways, Stead gave the whole story credence – one of the forefathers of modern investigative journalism, he was famously jailed following his landmark investigation into child prostitution, when he arranged the ‘purchase’ of a 13-year-old to prove that the trade existed. 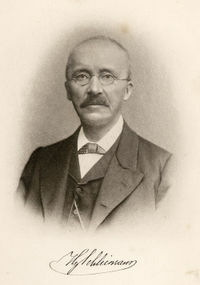 Combative, creative and a pacificist frequently nominated for the Nobel Peace Prize, Stead became increasingly interested in spiritualism during the 1890s, claiming he was receiving messages from the dead. He believed he had a spirit guide, in the form of an American temperance campaigner named Julia Ames, who he had met shortly before her death. His absorption in spiritualism began to dominate his writings, and marginalised what had once been a massive influential talent. 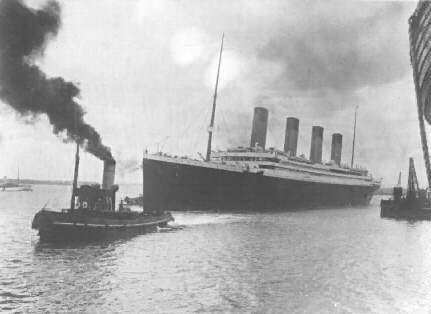 In 1912, Stead inadvertently added a further dimension to the tale – he was one of the victims onboard the Titanic. 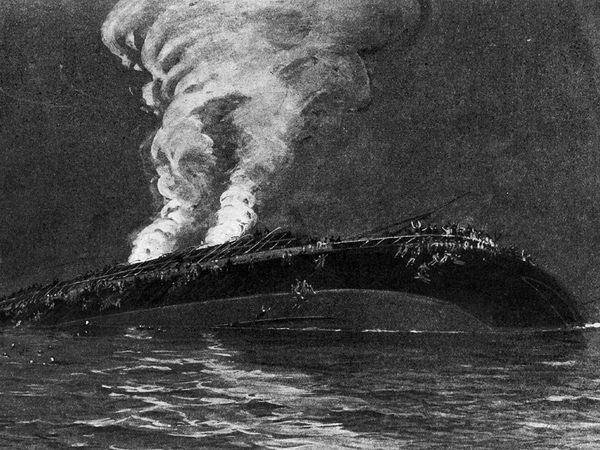 After the ship struck the iceberg, Stead helped several women and children into the lifeboats, in an act “typical of his generosity, courage, and humanity.” After all the boats had gone, Stead went into the 1st Class Smoking Room, where he was last seen sitting in a leather chair and reading a book. He had been due to take part in a Peace Congress at Carnegie Hall at the special invitation of President Taft; it was said that had he survived, he would have received Nobel Peace Prize later that year. Stead’s death led to a resurgence of rumours about the case when one survivor related he had told the story of the mummy’s curse onboard. It was claimed the British Museum had reached the end of their tether with the unexplained goings-on, and had sold the board to an American museum – the case was being exported on the doomed ship’s maiden voyage and the curse had caused the sinking. One version of the story had the board being salvaged after the disaster, and continuing to cause mayhem as it travelled to new owners in Canada, being responsible for the sinking of the Empress of Ireland in the St Lawrence River. The truth was actually far less elaborate: the case was on display in the British Museum, just as it always had been. The painted and gessoed (the coating which prepares the wood for painting) inner coffin lid made to cover the mummy of a woman was discovered in Thebes, dating to the 21st or early 22nd Dynasty (c.950-900 BC.) 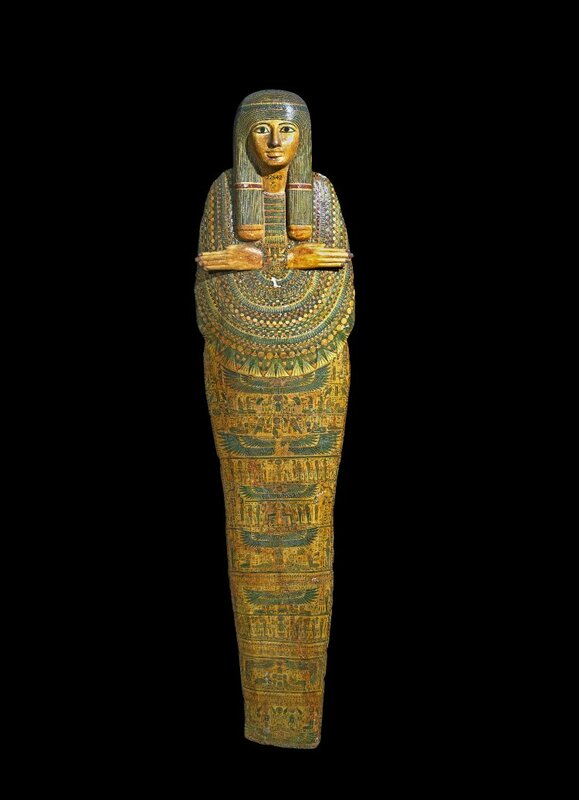 Standing 162cm tall, little is known of the coffin’s owner, other than the fine work on the board suggests she was a person of high rank, although the mummy associated with the board is believed to have been left in Egypt. Ascribing her royal status, or claiming she was a priestess (as Budge did) is simply supposition based on a reading of the high quality of the board, a conclusion which today’s experts tend to disagree with. The board has been on continuous display in the British Museum since 1890 – it has only left on a handful of occasions, when moved for safekeeping during the two World Wars and in 1990, when it formed part of a temporary exhibition in Australia. In 1934, Wallis Budge even issued a statement saying the British Museum had never possessed a mummy, coffin or cover that had been involved in any unusual events. He stated the case had never been sold by the terrified Museum, had never been on the Titanic and had never left the museum at any point since its arrival (aside from a brief period when it was stored in the basement during the First World War). One source claimed every part of Douglas Murray’s story was entirely fabricated, but in truth, he did seem to have some part in handling the board before it ended up in the British Museum’s collection. Some sources claim he bought the lid from an American millionaire collector of antiquities named James Carnegie, the patron of the famous German archaeologist Heinrich Schliemann (1822-1890), who may have discovered it at a dig in the late 1880s. Carnegie may have sold the coffin lid to Douglas Murray in Cairo in 1910 (the popular ‘curse’ rumour being he died of cancer before the Englishman’s cheque even cleared.) Quite how the case ended up passing from Murray into the hands of Mrs Hunt is unexplained. But he real mystery is why did Douglas Murray promote the story of a curse? He was in his forties, established and seemingly had no need to promote himself. By the time his story was known, the mummy had already been bequeathed to the Museum so he wouldn’t even have financially benefitted from its unique back-story. It seems most likely that his Spiritualist beliefs led him to claim the coffin he had bought was in some way haunted. If it was an attempt to capture the imaginations of those who did not believe in the paranormal, he succeeded in a way he could never have envisaged; over 120 years later, his ghost story is still doing the rounds. Thomas Douglas Murray died in 1912, his will founding a scholarship in Egyptology which still exists at UCL (a legacy which contradicts the claim he was bankrupt at the end of his life, part of the ongoing curse.) 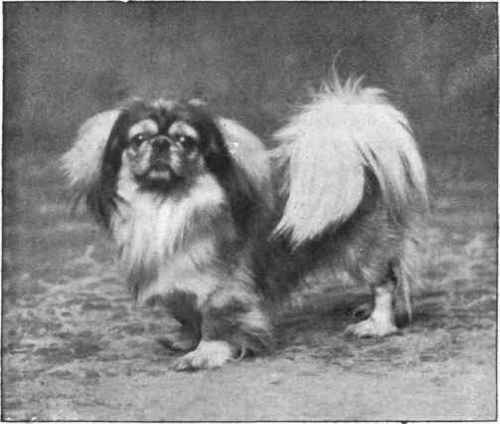 Aside from having his name attached to one of the country’s most enduring ghost stories, Douglas Murray was also the man who first brought the Pekinese Spaniel to Britain. Today, the Mummy-board EA 22542 has just been returned from loan, but has not yet been returned to display. It will soon be back in its usual place: Gallery 62, case 21. My thanks to Dr Julie Anderson, Assistant Keeper (Curator) of the Department of Ancient Egypt and Sudan at the The British Museum for additional information. This was less than two years ago and my sensitivity to spirits have declined, but I wanted to check if there were any witnesses whoever had the same experiences as I had two years ago. 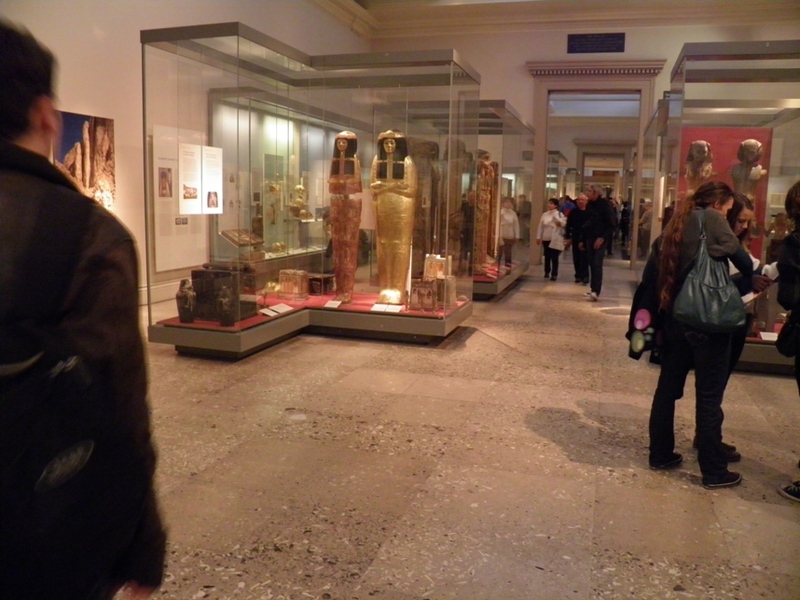 Once during the school trip when I entered the Egyptian and Sudan section on the upper floor where the cases are, I instantly felt dizzy and I couldn’t breathe. when I turned around I locked eyes with one of the cases standing and I couldn’t look away even though I wanted to. If there’s anyone who had the same experiences, please reply!